If your holiday with TUI (formerly known as Thomson Holidays) went wrong, you'll want to make things right, and one of the simplest ways to do this is to make a complaint. In this guide, our travel law team explains some of your consumer rights surrounding package holidays, including how to contact TUI with your complaint, as well as what to do if you're subjected to a holiday accident or illness. Under current legislation, by purchasing a package holiday from TUI in Britain, your consumer rights are protected under The Package Travel Regulations 1992. This regulation makes your tour operator responsible for ensuring that your holiday is supplied to a reasonable standard, as well as making them responsible for their suppliers. Put simply, this means that if something does go wrong with your flight or at your hotel on a package holiday, TUI could be responsible. Although you aren't protected by The Package Travel Regulations 1992 if you didn't book a package holiday, you might be protected in other ways if your holiday went wrong. We recommend speaking to a member of our travel law team if you were injured abroad, regardless of what type of holiday you booked. Alternatively, Citizens Advice should be able to help you. If your holiday was ruined by an illness or accident, it's advisable to speak to a travel law specialist before accepting an offer of compensation. We often find that companies such as TUI offer lower amounts of compensation for illness and accident package holiday complaints than holidaymakers are entitled to. What's concerning about this practice, is that if you accept a lower amount of compensation, you're unlikely to be able to make another claim. By speaking to a travel law specialist first, you can find out if the compensation that you have been offered is worth accepting. Although there's no time limit on when you are able to make a complaint, it's important to remember that the longer you leave it before contacting TUI, the less likely you are to receive a favourable resolution. In the event that you need to escalate your complaint and start court proceedings, there can be limitations. Some limitations can expire within 6 years, but others can be shorter, meaning that if you wish to complain to TUI, it's important to do so sooner rather than later. If your complaint concerns an illness then you generally only have 3 years to start court proceedings in England and Wales, or in the instance that a child (under 18) has been affected by an illness on holiday, they have 3 years from the date that they turn 18 to make a claim. Be aware that these time limits can vary for accident claims due to the fact that they are assessed on local standards. Because of this, it's advisable to speak to a travel law specialist as close to the date of your holiday as possible. Before complaining to TUI, we recommend reading our advice on complaining about a holiday. By arming yourself with this knowledge, you stand a better chance of ensuring that your complaint is heard and acted upon. Once you're ready to make your complaint, you may find the following contact details to be very useful. You can either fill out the TUI After Travel Customer Support enquiry form or call them on 020 3451 2699. You might find that you're unable to resolve your complaint through TUI, and so long as your complaint doesn't concern an accident or illness abroad, we would advise contacting the Association of British Travel Agents (ABTA). ABTA provides holidaymakers with dispute resolution services that can be very helpful, although, it's important to note that ABTA aren't independent of the tour operators. Another avenue of complaint to consider is making a small claim through your local county court, although we would only recommend this as a last resort, potentially seeking help from Citizens Advice before getting to this stage. If you have been ill or suffered an accident on a TUI package holiday, get in touch with a member of our travel law team and we'll assess your case as part of a free no-obligation consultation. 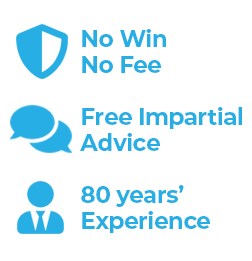 If we're able to help you to make a holiday accident or illness claim, we can do so on a 'no win no fee' basis. To find out how our travel law team can help you to make a holiday illness or accident claim, fill in our enquiry form and we will call you back, or call us directly on 0808 145 1353.